This is one of the best products I have found out there for cleaning the gel out of my hair every morning. It doesn't take a whole lot of the shampoo to cleanse my hair and it leaves it soft and refreshed every morning. Plus it seems to be gentle enough to use it every single day. There are a couple of other brands out there that do clean a little better and faster but they tend to cost an arm and a leg to do something that this product does. For the money I would definitely choose this one every time. Effectiveness Suave men's deep cleaning shampoo does a very good job of cleaning my hair. I never have to use an over abundance of it, just a small squirt and it does it's job. All of the hair styling products that I use are gone with a simple wash. Scent I enjoy the scent. It's not overpowering but it is enough to notice it. My fiance really likes the scent which is why she got it for me in the first place. I have noticed her smelling my hair from time to time after I get out of the shower. This shampoo holds the secret to getting the lady's loving. My wife loves when I use this shampoo. She loves the way it makes my hair smell especially. I get more hugs once I get out of the shower after I use this awesome shampoo compared to when I use another shampoo. I also get complimented that it makes my hair feel nice and soft. When using this product, my hair looks and feels healthier. The best part of this product though is how it actually gets my thick, curly hair clean. It cleans all the way down to my scalp and does not just clean the top layer of hair. Effectiveness Very effective. I feel like it cleans my hair very well. I have extremely curly hair and sometime shampoos just do not know how to clean everything out. Suave deep cleaning for men knows what it takes to get my hair clean and then gets it done. Scent The scent is manly and awesome, just ask my wife! It is not over powering though so I feel like I have colon on straight for the shower. Suave's Men Deep Cleaning Shampoo is a great value for the money. It is such an inexpensive product yet it works so well. Specifically, I love how it deep cleans my hair without drying it out. I also love the scent of the shampoo. It is not fruity or feminine at all. It is definately a male scent so I don't think it would be regularly used by women. I like to use this shampoo a couple of times of week to wash away the build-up of other hair products. This shampoo deep cleans but it doesn't deep clean too much and leave my hair dried out. I like how my hair feels after I use this shampoo and I also like how my hair smells after I use this shampoo. This shampoo is comparable to much more expense shampoos for men. But in fact, I like it better than some of those more expensive brands of shampoos. This shampoo is salon-quality without the high salon cost of high end products. I will continue to use this shampoo and would recommend it to others as well. 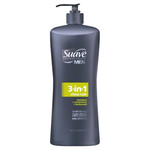 I've always been using just the regular Suave Men Shampoo or the one with conditioner. They all seem pretty similar in performance and quality. 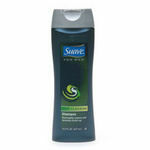 The Suave Men products just seem like a good balance between price and brand name quality that is marketed for men. I feel like there isn't really that many options for men and thats absolutely fine with me. When I went to buy another bottle I saw this deep cleaning shampoo and figured its similar in price. Plus I had recently started using a new hair gel type product, a pomade/cream, so why not use this shampoo. It seems to work well and as advertised, but I never really noticed any problem with having a build up of a styling product beforehand. Regardless, your hair is still fresh and clean so no complaints here. As far as a shampoo goes, this stuff will do the job. It cleans your hair. Probably won't blow your mind, but it gets the job done well enough. As a two-in-one shampoo and conditioner... well, it is what it is. The problem with a two-and-one is always going to be the fact that it can kind of build up if you use it too many times consecutively. So you might need to add some other kind of shampoo without conditioner into the rotation just to keep your hair from getting a little bit nuts. The benefits of this product mostly come from the fact that it doesn't leave you smelling like a fruit salad. Any guy who's ever used his wife/girlfriend/sister's shampoo by mistake knows what I'm talking about. They have a tendency to smell like flowers or fruit or sometimes both. This stuff is masculine-smelling without being absurdly so. It's got that musky smell that, for some reason, has started to show up in all manner of men's personal care products. I really have no idea what that smell is -- it doesn't seem to appear anywhere in the natural world -- but at least you don't come out of the shower smelling like strawberry-kiwi. My childhood days were not always the same as my 4 brothers and my sister. I liked to work with my Dad and I knew I was different from the others. All of them had black and real curly hair like both of my parents did. My dad's was thick and my mom had to cut it with scissors. She could not use clippers on it or they would mess up. Well by the time I was ready to start school my hair was blonde and straight and of all things it was as thick as my Dad's was. The barber did not even want to cut it back then like all the rest of my brothers. My hair seemed to grow very fast as well and my mom got tired of cutting it so much. I did not care since I always liked it longer and still do. It still grows fast even now and in 2 1/2 months on this site it has grown at least 3 inches. With all of that in mind I have to have something to clean it good and Suave calls this Men's Deep Cleansing shampoo but I think a woman with long hair would like it as well especially if they have oily hair. It cleans very well and leaves my hair soft as well. I may not always use the same conditioner but I try to use the same shampoo. If you have oily hair or a tendency to have very dirty hair at any rate you should try this shampoo. My husband loves Suave deep cleaning men's shampoo. It cleans his hair, without leaving his scalp dry, itchy and flaky. He has a problem with dry skin in the winter time, and it causes the dry, itchy, flaky, dandruff. He has tried head and shoulders, and other dandruff shampoos, and non have worked as well as Suave deep cleaning shampoo for men. It cost a lot less than the more popular brands too, which is a real plus. 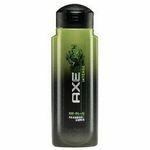 He says that is lathers up great too and does not leave that dull feel to his hair. 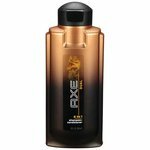 It has citrus extracts in it and smells great, but not a feminine smell, it has a clean masculine scent, but not an over powering scent like some of the new men's shampoos on the market. The bottle is also in a great masculine design, would be great for a bachelor that doesn't what all that frilly girly stuff cluttering up the bathroom. If you are looking for an inexpensive, yet great shampoo, then give it a try.